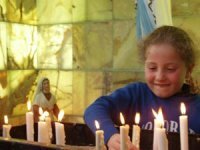 A young girl lighting candles at the Chaldean Catholic Church in Baghdad. Cost of Happiness Showtimes in the U.S.
Last Wednesday, readers of this magazine and hundred of other concerned Assyrian-Americans took a closer look at the events unfolding in Iraq. They turned to tens of activists with deepest roots in the modern Assyrian struggle for freedom in Iraq. No political associations. No religious affiliations. Nothing hindered their desire to move ahead with the unprecedented grassroots effort that has baffled every Assyrian political group from Tehran to Turlock. In less than 72 hours after the release of our last issue, the offices of several major Congressional representatives were flooded with telephone calls and signed petitions. The revolt against indifference and ignorance has begun! Assyrian activism has taken an all new turn! New faces and forces are quickly emerging with a vengeance. The youth is once again galvanized. 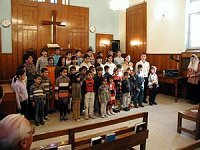 To become united in reaching the helpless ChaldoAssyrians of Iraq, Assyrians and Chaldeans in the U.S. are putting aside their biases and arguments aside and converging their opinions on one topic: saving the lives of the Christians in Iraq. Requests for the translation of the last Editorial to other languages continue to pour into our offices. In Arizona, thousands of petitions will be made available at the Assyrian Aid Society event at the Hilton Hotel, to be signed by all those who will attend and their family members. Guests will even be able to freely access the internet to sign the electronic petition. On Sunday, the Petition and Internet access will be made available at all major Churches in Arizona. Mar Aprim Khamis, Bishop of the Church of the East residing in Arizona, has given his full support for the Petition. Only a few hundreds miles away in San Diego, California, Mar Sarhad Jammo, Bishop of the Western Diocese of the Chaldean Catholic Church had already offered his full support for the Petition on Friday. In Detroit, Mar Ibrahim Ibrahim, Bishop of the Eastern Diocese of the Chaldean Catholic Church, similarly, has given his complete support for the Petition. Mar Bawai Soro and his Western Diocese in California had already communicated their full support within 48 hours of the publication of our last issue. In San Jose, mailers of the Petition will be sent to all residents of the San Francisco Bay Area. Thousands of petitions will be distributed to worshippers on Sunday in San Diego, Los Angeles, and San Jose. Assyrians in other countries are not sitting idle either. For every five petition signed in the U.S., one online petition bears the approval of a non-U.S. Assyrian. These petitions cannot be used due to the rules governing the fair use of campaigning in America. However, every new name from Europe, Australia, and the Middle East espouses greater courage among the activists in the U.S. In Canada, one reader took on the ombudsman of the Toronto Star to explain that the two recent beheaded Iraqis were not Kurdish, rather Assyrian. As expected, some organizations and individuals have refused to participate in this important campaign because of their dislike of the name “ChaldoAssyrian”, their personal aversion for other participating members, and in one or two cases displeasure at being asked to row, rather than misguide their ship of fools. Control – Alt – Delete. Our campaign moves on! With four major Assyrian and Chaldean bishops expressing their personal endorsement of the Petition and the rallying efforts of the Assyrian American National Federation, the Assyrian American League, several other religious and political leaders across the country, there is no way this campaign can stop or even slow down now. The final destination is Washington D.C. where every government representative will be briefed on the situation of the ChaldoAssyrians in Iraq and public demonstrations organized to bring mass awareness only weeks before the presidential elections. Show the Petition (online or hardcopy) to your non-Assyrian friends. Email the link to them at work and via IM. One Assyrian student wrote to Zinda that she immediately after reading our Editorial emailed 75 of her non-Assyrian friends at school. Make copies of the Petition and distribute it among your extended family members. Discuss the 4 Points with them and explain the importance of a safe haven for Iraq’s ChaldoAssyrian population. If you own a store, make copies of the Petition available for your customers. Help disseminate this information to those less likely to be able to read about this campaign on the Internet. Speak with your church minister or priest. Ask him to announce this Petition during Sunday’s Service. Take a few minutes from your weekly Bible Study Group gathering, meeting with the friends at Starbucks Coffee, and Group Study to discuss the Petition and the plight of the ChaldoAssyrians in Iraq. Explain the importance of receiving 5% of the funds allocated to Iraq for the rebuilding of the Christian villages and the rejuvenation of our communities in the homeland. Call your local Assyrian and Chaldean television programs – regardless of their stand on this subject. Announce the websites of Zinda Magazine and AINA, clearly and confidently. Ask your local social club president to call for an emergency meeting of your members where you or someone else can discuss the Petition and obtain signatures. Write to your local newspapers (see this week’s Surfs Up!) and explain the dangers facing ChaldoAssyrians in Iraq. Mention the ePetition and ask the newspaper readers to sign the Petition. Call your local non-Assyrian churches and ask if the Petition Campaign can be brought to the attention of their members via a Sunday announcement during the sermon or a church publication. Call your minister and ask for a Sunday prayer for the safety of the ChaldoAssyrians in Iraq. The “Safe Haven Campaign”, as we call it at our Zinda Magazine office, is not just about signing petitions and mailing our local representatives. It’s about giving hope to those in despair. It is also about uniting our forces in the U.S. to find common grounds for mutual understanding and cooperation. 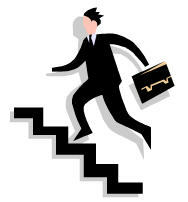 No doubt, new and energetic leaders will be coming into sight. Educated and eloquent, they share interests and experiences that manifest themselves in fiercely patriotic and impersonal attitudes. We have embarked upon a new political reality in the United States and in Iraq. As the largest Iraqi-born population in America, we have a considerable power to effectuate change in the policy-making machinery in Washington D.C. The Petition Campaign is a pragmatic way to influence the foreign policy debate happening as this editorial is being prepared. It is up to each of us to question our local leaders and expect sustainable solutions with short and long-term benefits. This is a perfect time for us in the Diaspora to make a difference - to save our people, save our identity, our heritage, our future. We acted quickly and resolutely this week in an unprecedented way because we realized that we could make a difference. It is this voracious appetite for survival that has kept us alive since the early days of Mesopotamian civility. Let us make this campaign a priority at this juncture in the most historic days of our modern existence and put an end to the perpetual refugee status of our people in Iraq and elsewhere. The coming week is crucial in the progress of the Safe Haven Campaign. Although both Chaldean bishops in the U.S. have endorsed the Campaign, the number of petitions from Michigan and San Diego regions remains slim at press time. Looking at events overtime, the local Chaldean media outlets, churches, and clubs must play a significant role in informing their members and viewers that economic development and democratic reforms in one corner of Iraq may not reduce human rights abuses across all 18 governorates and especially those perpetrated against the Christians in that country. 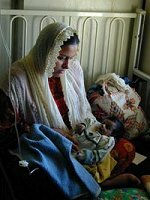 If a safe haven can be erected for the Kurds in Iraq, the Moslems in former Yugoslavia, and in Rwanda for the genocide victims, why not for the helpless Christians in the Nineveh Plains of Iraq? The answer is clear. "Non-Muslim minorities in Turkey as targets of a recent hate campaign." Thus was the title of a Press Conference held in the Residence Palace – International Press Center in Brussels ( 22 September 2004 ). The event, which attracted more than 20 journalists, was organized by the Working Group Recognition – Against Genocide, for International Understanding ( Berlin ) , the Switzerland-Armenia Association ( Bern ) and The Assembly of Armenians of Europe. The first two organizations mentioned above, initiated a Memorandum that was submitted to the attention of the European Council, Council of the European Union, members of the European Commission and European Parliament. The Assyrian-Chaldean-Syriac Association, Föderation der Aramäer (Suryoye) in Deutschland e.V. and Syriac Universal Alliance were among the cosignatories. Will the European Commission, in its report of October 6, 2004 , consider Turkey as ‘ready’ for the EU accession? Will the European Council start the negotiations for Turkey ’s accession to the EU at the end of this year? These vital questions were answered from seven different perspectives by the following guest speakers (in alphabetical order). Prof. Dr. Yves Ternon, doctor, historian and writer, researcher and expert in genocide studies, in particular the genocide of Armenians and its denial, Paris. Mr. Nicolas Tavitian, an expert in international political relations, Brussels , acted as the moderator. Below follows the oral statement of the Syriac Universal Alliance (SUA). In 1999, the SUA has been officially recognized by the United Nations (UN) as an non-governmental organization (NGO) in Special Consultative Status with the Economic and Social Council (ECOSOC) of the UN. The Republic of Turkey boasts a unique mosaic of religions , languages and races. Thus it is my honor to share with you the experiences faced by one of its non-Turkish and non-Muslim peoples regarding recent advances made in this Republic within the framework of EU criteria. Namely, of the Arameans – a largely forgotten people with an extraordinarily rich heritage. A s early as the 13 th century B.C., written sources unequivocally portray the southeastern terrain of modern Turkey as the native land of several Aramean principalities. In the first centuries A.D., however, the Arameans converted en masse to Christianity. The numerous monasteries and churches, although most of them lying in ruins today, still testify to this fact. Although in the past decades the indigenous Aramean or Syriac people have endured many hardships on different levels, I will briefly touch on three primary issues following their developments from 1999 on, when Turkey became an official candidate for EU membership. 1915 Genocide . In 1920, the Syriac Orthodox church delivered a memorandum* to the Peace Conference in London stating that ca. 90,000 of its faithful were innocently murdered. Turkey not only categorically denies this Aramean national trauma, but it also can penalize the sheer mention of this Genocide, as the arrestment of a Syriac Orthodox priest witnessed in 2001. Moreover, in 2001 the Turkish Historical Society Printing House in Ankara published a book aimed at rebutting the Genocide of the Aramean people and in 2002 the National Education Ministry even initiated anti-Genocide teachings to elementary and high school pupils. In an already highly Islamized state, these are truly frightening trends for the Christian Arameans. Official Recognition . The articles 37-45 of the Lausanne Treaty ( 24 July 1923 ) determine the rights of the non-Muslim minorities within Turkey . In practice, however, this Treaty repeatedly gave birth to arbitrary interpretations by Turkish officials and only the well-known traditional ‘millets’ (i.e. Armenians, Greeks and Jews) were defined as “non-Muslim.” For example, the teaching of the Aramaic language in ancient monasteries or the restoration of centuries-old church buildings have been outlawed in the recent past, all based on this Pact. It is true, the Arameans virtually do not exist according to such loose interpretations. Hence, all the elementary human rights (e.g., religious, social and cultural) have been denied to them simply because they are not explicitly referred to as ‘non-Muslim’ in the Turkish legislation. More, religious freedom cannot be assured in this secular state as the Department of Religious Affairs has been controlled by strong Islamic forces for years now; thus it lost its neutrality. Re-migration . Today, Sweden and Germany together house more than 100,000 Arameans; whereas in southeast Turkey there have remained less than 2,500 souls. After the mass exodus of the Syriacs from their ancestral land in the past three decades, in 2001 the then Turkish Prime Minister issued a circular inviting all the Diaspora Arameans under “state guarantee” to return to their homes again. This message was received with great joy and hope, and it produced a small movement of repatriates initiating building and renovation enterprises. However, the majority of the Diaspora community is still governed by fear and insecurity before going back to their lands. Syriac Orthodox church lootings in Diyarbakir and in Mardin last year, including the assassination of the mayor of a Syriac village on the 17 th of July 2004 , which basically had to do with neighboring Muslims aspiring to take over the village, confirmed this. The village of Sare serves as another illustration. In 1994, Turkey installed the paramilitary ‘village guards’ in Sare to protect the local population and in the next two years ca. 20 adjacent Syriac villages were evacuated. It took the expatriates from Sare years to get their village back again. Only after Mr. Günther Verheugen, who was petitioned to intervene in this regard, recently left Turkey , the army abruptly removed these guards just 10 days ago; it should be noted that more than once expired deadlines were ignored by these village guards. recognize and treasure the multicultural identity of the Republic of Turkey, of which the native Aramean people still form an integral and essential part. This recognition must also be adopted by Turkish media outlets and leading corporate, educational and general institutions. And so, justice, recognition and equality are the basic principles we plead for. We believe that this is a minor request that can be granted to the Arameans by the Republic of Turkey . *As my statement highlights the current state of affairs of the Syriac Orthodox community in Southeast Turkey , this example certainly does not intent to neglect the total number of Christian Aramean victims during WW1. To be sure, the more or less 600,000 losses include the Chaldeans, Nestorians (a.k.a. Assyrians), Syriac Catholics and Syriac Protestants alike. In other words, the Arameans lost 1/3 of their total population during this period. (ZNDA: Amman) Iraqi Christians flocked to the Latin Catholic church in the Hashmi district of the Jordanian capital, a drab working-class area, where they celebrated Mass in the ancient Chaldean language. On a recent Sunday, some 200 worshippers packed the sanctuary, which is adorned with a simple wooden cross and a picture of the Virgin and Christ. Here, away from their native country, these Iraqi Christians felt safe. Fearing lawlessness and rising Islamic fundamentalism in their own country, large numbers of Iraqi Christians are fleeing to neighboring Jordan and Syria. No one knows for certain how many of Iraq's 750,000 Christians have left the country since the removal of Saddam Hussein, but estimates are in the tens of thousands. The level of mistreatment Christians face in Iraq is disputed, even among Christians themselves, but no one can deny the fear, which is palpable among those crossing the border. Church bombings in Baghdad and Mosul only fuel that fear, but so do individual stories, even though few can be substantiated outside of Iraq. One Christian attending the Mass, Samir, requested that his full name not be used because of fear of reprisals against his family. A businessman from Baghdad, he recounted how militants linked to renegade Shiite Muslim cleric Moqtada al Sadr recently kidnapped and tortured him until his family paid ransom money. "A gang came to my shop with machine guns and forced me into a car where I remained for nine days," the businessman said. "They wanted $200,000 from me. "They repeatedly hit me and poured boiling water all over my body. I was held hostage until my family paid them $50,000 to finally get me released." The man, in his mid-fifties, now walks with a cane and burn marks are visible on his body. He says he and his family fled to Jordan but hope to find permanent refuge in Australia because he cannot find legal work here. Samir and other recently arrived refugees said militants are targeting Christians in Iraq because they perceive the Christians have money. They also say Islamists have attacked predominantly Christian-owned liquor, fashion and music shops demanding their businesses be shut down because they are deemed offensive. Most of Iraq's Christians are Chaldean Eastern rite Catholics who are autonomous from Rome but who recognize the pope's authority. Other Christian groups include Roman and Syriac Catholics; Assyrians; Greek, Syriac and Armenian Orthodox; Presbyterians; Anglicans and evangelicals. "Christians in Iraq do not instigate violent acts," Hikmat said, her large brown eyes widening. "But unlike the Sunni and Shiite Muslim communities, we have no big tribes to support or protect us against harm so that makes us vulnerable." The 29-year old former government employee says she and her two younger brothers escaped with a few of their worldly possessions in a couple of suitcases. "I believe we are also being targeted as Christians because we are viewed as suspected collaborators with U.S. and Western forces amid a rising tide of Islamic fundamentalism," she said. "Of course, this is not true but this perception only increases our problems." The synchronized bombings of five churches in recent weeks and another car bombing at a Baghdad church on Sept. 10 have sent further shock waves into the Christian community. The blasts killed 11 people and wounded more than 50 in Baghdad and in the northern city of Mosul. They were the first significant strike on Iraq's Christians, who make up about 3 percent of the country's 25 million people. A previously obscure group, the Committee of Planning and Follow-up in Iraq, claimed responsibility and warned more attacks would follow. But Iraqi officials blame al-Qaida ally and Jordanian-born terrorist Abu Musab al-Zarqawi for the assaults. As a result of the continued instability, large numbers of Christians are choosing to leave Iraq rather than return to their church pews. Iraq's top Shiite Muslim cleric, Grand Ayatollah Ali Al Sistani, has condemned the attacks on the churches as "hideous crimes" but the country's migration minister says the exodus of Christians continues. 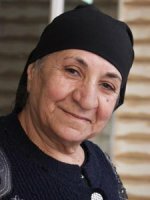 Pascale Isho Warda, herself a Chaldean Catholic Christian, estimates that 40,000 Christians have left Iraq because of a lack of security and organized attacks on their churches. But the U.N. refugee agency disputes the figure. A spokesperson for the Iraq program of the U.N. High Commissioner for Refugees based in Amman said that the estimate is unsubstantiated. UNHCR said reliable numbers are hard to come by because many refugees have gone directly to foreign embassies, such as the Australian or Canadian embassies, to make their claim and have bypassed the United Nations in the belief that a claim of religious persecution will provide a chance for quicker asylum. The refugee coordinator for the Middle East Council of Churches in Jordan, Wafa Goussous, said there have been no Iraqi Christians seeking assistance directly from the organization. Instead, Iraqi refugees go to their church communities upon arrival in Jordan for needed aid, such as housing and food. The priest of the Latin Catholic church in Amman's Hashimi district, the Rev. Raymond Musili, has put the figure of recent arrivals from Iraq at about 7,000 at his church alone. In Syria, the U.N. refugee agency operating in Damascus reports that some 4,000 Iraqi Christians have sought refuge in the country. But even with the growing climate of fear in Iraq, there are stalwart Christians who choose not to leave their homeland. A small group of Pentecostal Christians visited Amman recently from Baghdad and reported that their church is growing, despite pressures. They also refuted claims of intimidation from Muslim militants. What is irrefutable is the fear and anxiety among many Christians, who see their future as uncertain, at best, in the new Iraq. (ZNDA: Turin) In the wake of attacks on churches in Iraq that prompted some Christians to emigrate, the Archdiocese of Turin has launched a plan to "adopt" Catholic priests in that country. The project, entitled "I Have a New Friend: An Iraqi Chaldean Priest," is beginning with the objective to help 10 young parish priests of Baghdad. Organizers of the initiative explain that the financial aid sent to these priests will be used "to improve the conditions of life of the communities themselves, by committing themselves to invest it, in the measure allowed by the situation." The founders and directors of the project are Italian Father Fredo Olivero, who heads the archdiocesan Office of Pastoral Care for Emigrants; and Iraqi Father Douglas Shamshoon Al Bazi, parish priest of the Chaldean churches of Mar Mari and Mar Ephrem in Baghdad, and director of the Baghdad Catechesis Center. The initiative has the approval of Chaldean Auxiliary Bishop Isaac Jacques. Father Olivero referred to the Chaldean priests the program aims to help. "Each one of them knows his community and its needs, and each one is aware that material aid is useful if it is accompanied by the cultural growth that the aid can promote," the Italian priest said. "A growth that, although addressed to all, is oriented in particular to children, who need to be able to count on the hope of a better future." The organizers stipulate that whoever commits himself to adopt an Iraqi priest must do so for at least one year. The amount established "for the year 2004 is 1,000 euros" which "corresponds to the total annual figure that Iraqi young priests receive," Father Olivero added. The project provides for direct contact between the priest and those who adopt it, which can be one person or a group. Our sorrow and prayers are shared with the Jack Hensley family. In Iraq this year, I saw thousands of dedicated, brave people like Hensley making a better nation by their efforts. The public horror, ensured by media coverage, is meant to destroy the hope of Iraq's majority seeking freedom and democracy, and to wear thin the resolve of coalition nations promoting freedom and tolerance in the Middle East. 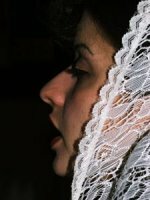 The Assyrian Christian minority, including Chaldean and Suryoyo, is indigenous to Iraq. It has been the focus of brutal attack by Islamic radicals bent on totalitarian rule. We thank the Hensleys for their sacrifice and pray for resolve in the face of evil. I would like to express my sheer thanks and admiration to you for your assistance with the Assyrian cause and your help in attempting to help the Assyrian population in Iraq. Once again thank you ever so much for your efforts at the British Parliament. Many thanks for this generous message. It was an honour for me to make the case for the valiant Assyrian Christian community and to tell of their proud and ancient civilisation. True nobility lies in the hearts of the Assyrian Christian people – not in mine. Thanks again. The Convention was launched by the American Lebanese Coalition, U.S. Copts Association, the Assyrian American National Federation, and the Center for Freedom in the Middle East . The convention will also include Americans from various Mideast backgrounds: Chaldeans, Druze, Sunni, Shia, Christian, Arab, Kurd, Iranian, Turk, Aramaic and others who share our passion for freedom and democracy. The Centre for Freedom in the Middle East (CFME) will serve as a home for a Coalition of political and advocacy groups, individuals and scholars from the Middle East striving to promote and uphold the pillars of freedom - religious freedom, civil liberties and human rights. The members of CFME believe in the enormous potential of the region, the cradle of human civilization, that can only be reached once it will overcome its deficits of freedom. Uniting the disparate voices of faith, ethnicity, color and gender in the Middle East the CFME will promote a platform of values that enshrines endowed in men and woman. Changing leadership and the increasing calls for transparency, accountability and reforms place the people of the Middle East at a crossroad between radicalization and liberalism. The campaign for both sides of argument has already being launched and it is essential that a coalition of liberal thinkers will find its vehicles to deliver its voice to the people of the region. We further believe that this is a moment of opportunity that requires some joint work of all freedom seeking forces in the Middle East to help build a united front against those in the region that are interested in turning back the clock. The Reform Generation, consisting 70% of the population under the age of 30, is already marching in the streets of the capitals and on university campuses – although their voices are often silenced. The CFME seeks to empower these voices by providing a platform and a medium that will assist to deliver this message internally and abroad. CFME will aims to promote the much needed internal debate in the Middle East about reform and democracy and to show the outside world that there are partners for democratization in the Middle East campaigning for true alternatives to extremism. The public is invited to attend a lecture by Prof. Paul-Alain Beaulieu on 29 September at 12:00 pm. The title of this lecture is " King Nebuchadnezzar s Palace and Hanging Gardens: Legends and Textual Reality". Location: 254 Barrows Hall. UC Berkeley Campus. From about 900 through 600 BC, the Neo-Assyrian Empire was a major force in the urbanization of the ancient Mesopotamian countryside. It was the largest and arguably the most urban polity in Western Asia up until the time of its collapse following invasions by the Babylonians and Medes, and at its height in the 7th century BC, the empire extended from the Zagros Mountains in Iran west to the Mediterranean including much of Egypt, and from the Gulf to south-eastern Anatolia in the north. Through enormous territorial expansion and political consolidation the empire succeeded in dominating virtually the entire Near East from their base in the region that is now northern Iraq. Aided by the wealth of conquest, the Assyrian kings renovated the old cities of Mesopotamia and founded new capitals. Riches obtained through exchange, tribute, and plunder flowed into the capital cities from the far reaches of the empire. Built on a scale previously unimagined in the history of the world until then, these Neo-Assyrian royal cities exceeded all other cities in size and in grandeur. The largest and now perhaps the best known of all the Assyrian capitals is Nineveh. This talk will focus on this imperial city, exploring the architectural and geographical features that define Nineveh as the archetypal Neo-Assyrian capital, as well as the outstanding innovations in planning which helped ensure its legendary status at the crossroads of the extensive and complex network of settlement that was the Neo-Assyrian Empire. For more information or campus map, click here or contact (650)723-3362 or email info@silkroadfoundation.org. Showtime - 4 & 7 P.M.
All 10 winners will soon be on their way to Turkey on an all expense paid, four day / 3 nights trip, to observe the making of the Hollywood multi-million dollar production of “Gilgamesh”. The winners will also be introduced to the cast and play a small part in the picture. Winners are of Assyrian descent and were selected based on their contributions to their Assyrian communities. The list includes an author, a film producer, and a youth group coordinator. Follow the Gilgamesh Contest Winners with Zinda Magazine in the next few weeks!